Home / jet airways / Jet Airways selling future tickets on cancelled flights! 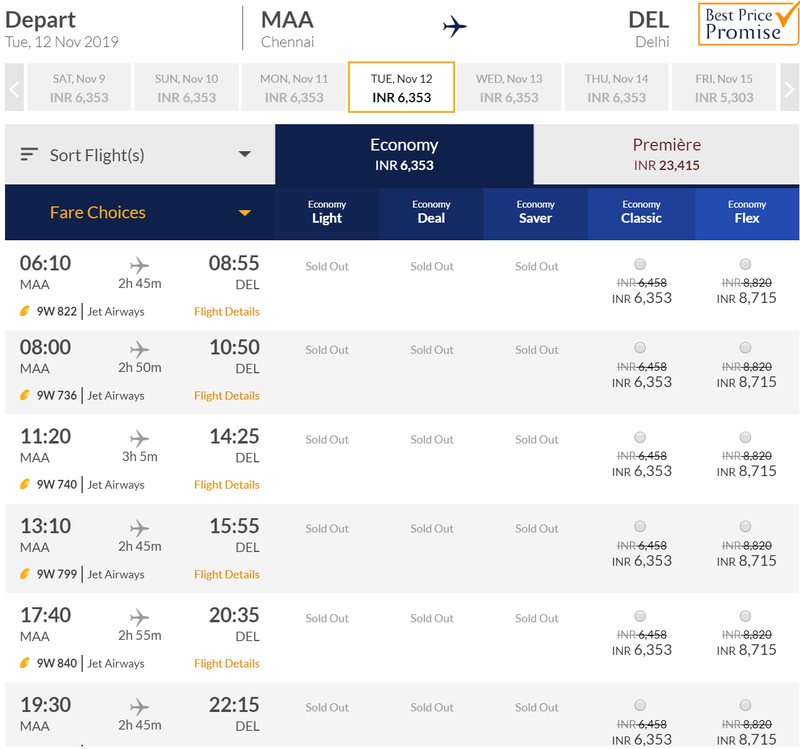 Jet Airways selling future tickets on cancelled flights! 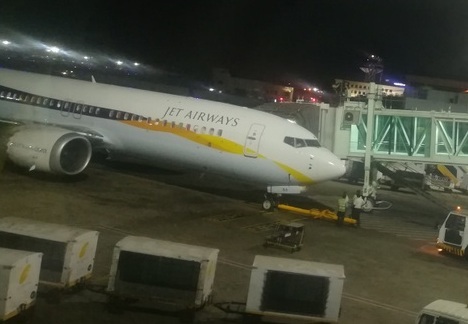 Jet Airways has about two third of its aircrafts grounded. Jet has cancelled hundreds of flights across its network and is operating an almost skeleton schedule. They have completely stopped flying to dozens of airports they used to fly to and on other major airports, flights are cut by a large number. For example, Jet had about 6 daily non stop flights between Chennai and Delhi. Now only 1 is operational. Everything else is cancelled. A few more options are provided via Bombay though. However one thing I noticed that if you select a future date, Jet Airways website is accepting bookings as per their original schedule. For example, if you select a date for November 2019, website is allowing booking on all 6 flights as per original schedule, while there's no guarantee whatsoever that situation will return to normal by then. May be they are optimistic, may be Jet is legally allowed to sell tickets as per schedule even if they have no clue if the airline will survive till November, may be they don't want to lose money- let people pay and book, closer to travel date Jet will announce cancellation and force passengers to take some inconvenient option. This in my opinion is deception or cheating. What do you think? An unsuspecting passenger might be trusting the airline and booking a ticket while airline pockets the money fully knowing their inability to honor the booking. So as a passenger, you should do your homework- don't trust the website completely.